Quanser Engineering Blog - Your Comments Welcomed! : Innovative Ways of Teaching Control Concepts—Who Benefits Most? Innovative Ways of Teaching Control Concepts—Who Benefits Most? I’m relatively new at Quanser, but already I’ve been given an opportunity to contribute to an exciting new initiative that aims to make controls education more engaging and effective for both students and professors. During my second week on the job, I was invited to a presentation given by Jacob Apkarian on a new approach to controls education. Since that meeting, I’ve become heavily involved in the project that Jacob outlined that afternoon. As you may have guessed, the primary goal of the laboratory is to take the normally dry and math-oriented control systems curriculum and make it relevant and engaging, while still covering the requisite curriculum goals of the course. 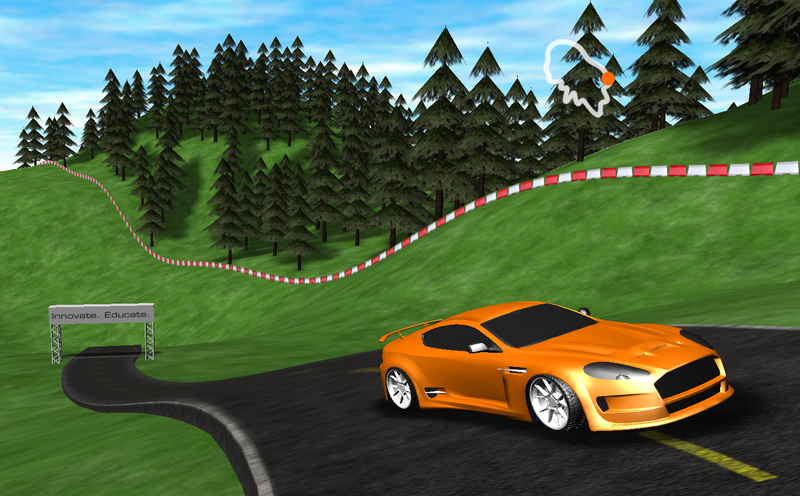 To accomplish this audacious goal, Jacob and other members of the engineering team at Quanser created an equally audacious solution—the Quanser Driving Simulator (QDS). 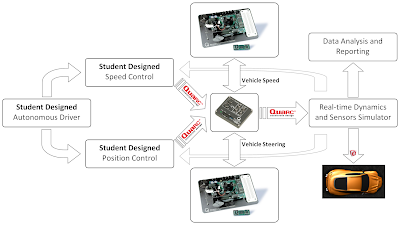 The QDS structure allows students to design an autonomous driver model, as well as controllers for several hardware-in-the-loop components. The system can be used to teach a wide-variety of topics including PD velocity control of a DC motor, PI position control of a DC motor, state-space modeling and control of an active suspension system, and autonomous vehicle navigation. Moreover, students are able to design, model and implement control systems with the objective of creating functional automotive analogs including a parking assist system, radar guided cruise control, active suspension, etc. In keeping with our goals, the laboratory curriculum is designed to promote critical thinking and big-picture analysis to make students’ observations relevant to real-world concepts. The laboratory sessions conclude with a research or competitive component that prompts students to develop creative, new approaches to the challenge while gaining a better grasp of conventional approaches to engineering research and development. Innovative and dynamic, it advances the way control systems and engineering pedagogy are addressed in the laboratory. It’s a revolutionary new approach that offers great benefits to teachers and students alike. I am proud to be a part of it.